The Stampede Demolition Derby has tons of car crashing, engine revving, dirt-flying fun with more than 100 drivers. This multi-heat demo derby is an annual favorite of the Stampede and has been sold out for most of the past decade. Enter your 3-8 year old in the Mini Basher Powered Vehicle Heat! Demolition Derby The Stampede Demolition Derby has tons of car crashing, engine revving, dirt-flying fun with more than 100 drivers. 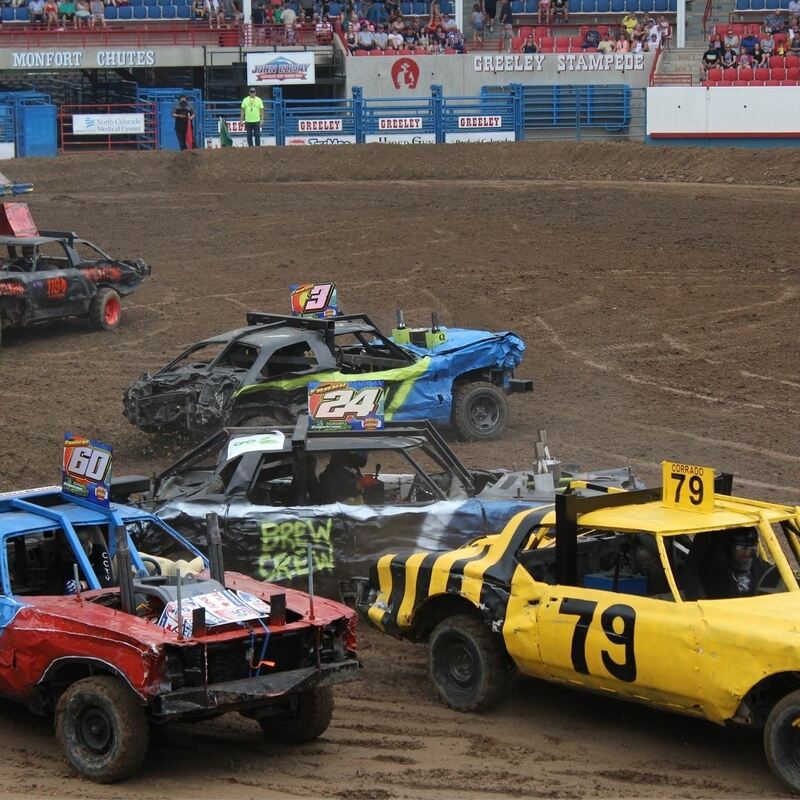 This multi-heat demo derby is an annual favorite of the Stampede and has been sold out for most of the past decade. Go Derby and the Greeley Stampede bring a little more bang to your 4th of July each year. Check out these highlights from the 2017 Independence Day Demolition Derby. Shout out to Joseph Large for this video! Crashing into Greeley again on July 7th, 2019.